The Muppets are being rebooted yet again. Disney is getting ready to launch their own streaming service in 2019, which is going to be competing directly with Netflix. That has a lot to do with why the Mouse House is purchasing many of Fox's assets, assuming the deal is approved by regulating bodies. But Disney has a wealth of properties at their disposal already and one of those properties will be made exclusively for the company's upcoming, as-of-yet-unnamed streaming service with the new Muppets Streaming series. According to a new report, Disney is currently looking for a writer for their Muppets reboot, so it sounds like this is in the very early stages. Disney purchased The Muppet Studio in 2004 and have been in control of the property ever since. Their most recent attempt to revive the beloved Jim Henson creations on the small screen came in the form of ABC's The Muppets, which took an approach similar to shows like The Office, but was canceled after just one season. So people weren't too thrilled with this new direction. Bearing that in mind, it's likely Disney will try to capture some of the old magic with this new reboot. Kermit the Frog and the gang were originally brought to the small screen with The Muppet Show in 1976. There was also Muppets Tonight, which aired from 1996 to 1998. On the big screen during the Disney era, there have been two live-action movies, including 2011's The Muppets and 2014's Muppets Most Wanted. The former was quite successful, bringing in $165 million worldwide, in addition to being very well-received by critics, boasting a 95 percent approval rating on Rotten Tomatoes. The latter, on the other hand, didn't do nearly as well, bringing in just $80 million and didn't really seem to resonate with fans. Point being, Disney hasn't managed to find a groove with The Muppets in recent years. This new series, whatever form it takes, will be the first series to feature the new Kermit the Frog, Matt Vogel, who took over for Steve Whitmire last year. Whitmire had voiced the beloved character since 1990, but was fired. Disney's streaming service will also be home to many other marquee projects, such as a live-action Star Wars TV series, new Marvel projects, a Monster's Inc. TV series, a reboot of The Mighty Ducks and a High School Musical reboot, among others. Disney isn't messing around. This new report also states that Disney may be rebooting some of its classic movies for the series, with The Parent Trap, Father of the Bride and Honey, I Shrunk the Kids all named as possibilities. There's no word on when this Muppets reboot could arrive, but Disney is planning to launch their new streaming service in fall 2019. Maybe they'll quit trying to reinvent the wheel and just bring back The Muppet Show? It's tough to say at this point, but hopefully this version gets it right. 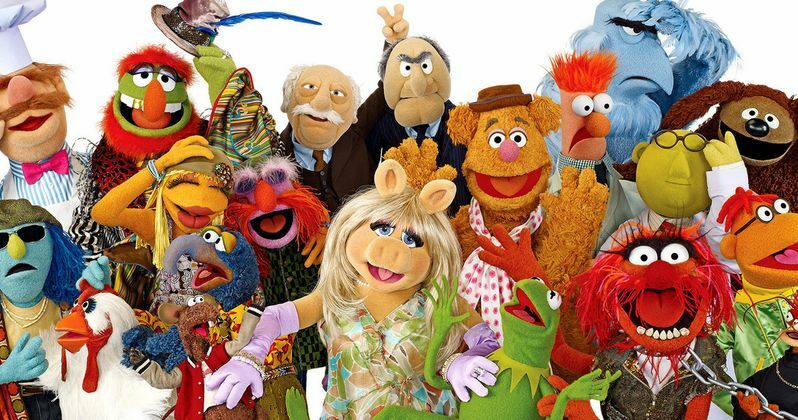 The news of The Muppets reboot was first reported by The Hollywood reporter.